The influx of the self appointed Social Media Guru, I believe is motivated by the need of old school organizations to pigeon hole, define and quantify an industry that they do not understand based on antiquated and old school usage standards. So people that are in the industry feel compelled to meet qualifications that are unrealistic and quite frankly not true. Social Media as we know it for business is a relatively new industry so all of the Social Media Gurus claiming to have 10 years experience are lying. Yes, I said it! The driving force behind social media in the earlier stages, for individuals and businesses was driven primarily by Facebook and Twitter. These social media platforms, although they feel as if they have been around forever, have not. They are both really relatively new forms of media and have only been around for a few years. Facebook was just created in 2004, that is about 7 years ago. I guarantee there were absolutely NO businesses using Facebook back then as a business tool. Business started to jump on the Facebook bandwagon with the introduction of Facebook Pages. 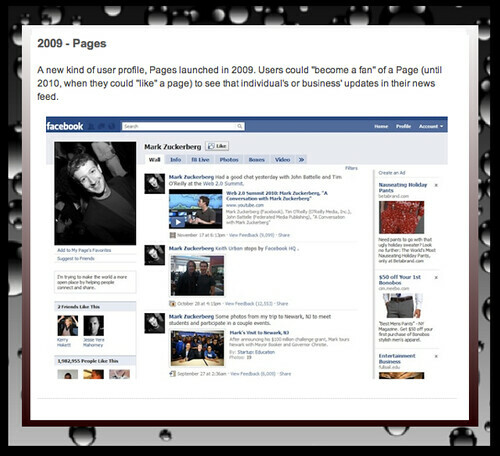 It was at this point that businesses were able to create a space for their business NOT just their personal social media presence and that happened with the introduction of pages in 2009. I am not saying that online interaction was nonexistent in the earliest stages of the Internet hitting mainstream. I am saying that businesses were not involved with Social Media as it is now and that there were NO Social Media Guru’s around. So in essence it is impossible for anyone to claim to have ten years experience or expect social media marketers to have ten years of experience when there was really no such thing as social media as we know it ten years ago. I do understand that marketing online has been around since the 1990’s when the Internet started to go mainstream but it was at best in its earliest stages. As an early adopter I was involved and fascinated by the Internet and the ability to have access to so much information. Most of the marketing by way of what was called the World Wide Web then consisted of very basic online stores and affiliate marketing by some of the companies that were around in the earliest stages of the Internet. Guru, Govind dou khade. Make laagun payin? Balihari guru apne, Govind dio bataye. Meaning – my teacher and lord both are standing right in front of me and who should I express my gratitude first? I should greet my teacher first as he only taught me about the God. And with respect to social media a few phrase have become cliche ….. Businesses have to stay away from these self proclaimed gurus . I agree 100% Meetu, we must really as professionals move away from the term Guru as it really does apply to something all together different, as you stated. I do think since this industry is still very new people are trying to stand out from the crowds and they are doing it by labeling themselves. When I hear the word Guru, I always imagine how I would feel if my doctor called himself a GURU and wanted to perform surgery, LOL, I would run away quickly. I really like Social Media Professional, it’s much more appropriate. As for marketing, there are some marketing experts who claim 30 years experience, and they’re as up to date on any online marketing as you and I. Older marketing fundamentals are still valid for the most part, and Social Media marketing is only small part of Marketing for large and small companies alike. It’s free is probably the main reason it’s popular with small business, and a low barrier of entry makes sure there’s plenty of people selling their services. I use marketing concepts that were probably used 10 years ago in making Facebook Pages and call to action pages, and I learned most of that from so called social media marketers, graphic designers and copywriters. I honestly haven’t ever met anyone who billed themselves as a social media marketing guru and claimed ten years experience at just that. I would like to own the domain name socialmediaguru.com, but I’m with you on disliking that phrase. I am kind of surprised that with a degree in marketing that you don’t give more credit to traditional marketing techniques, when social media marketing is done right it’s built on techniques used in print advertising years ago. They were placing the grocery items with the highest markup at eye level in the 1940s, not that much different from placing the most important information above the fold on your website. Thanks for taking time to comment Adam! I am with you on the the domain SocialMediaGuru.com 🙂 Imagine selling that. My Masters degree is in Internet Marketing not Marketing. I hold a bachelors in Business and I have a Sales and Marketing background in Technology, Auto, Real Estate and Pharmaceutical Product Marketing, so my background has a strong Traditional Marketing focus. My current company strategies are based on New Media Marketing techniques which mix a form of traditional marketing and technology based marketing, so I get your point on traditional marketing. I do have a lot of respect for traditional marketing, that is after all my background. However, I do believe there has been a shift due to technology growth and that companies that focus purely on traditional marketing will have to shift their attitudes accordingly. I do not have a throw out the old mentality, but more of an adapt or die mentality. I have been in the workplace for over 25 years, so I remember when things were quite different and I have seen the effects of companies that opt not to adapt. With over 25 years of work experience in organizations, I have been around to see quite a bit of change. I understand as most people that have been around to see so much change, that there needs to be an acknowledgement and acceptance of New Media Marketing because it is how the trend is flowing. … Let the Church of Keep it 100 say AMEN! You’re completely correct in your assessment. These days, I’ve stopped making attempts to get a “job” with traditional companies because they’re asking for the most asinine qualifications and requirements for their social media, SEO and Internet Marketing experts without really thinking logically. Some of these requirements make me wonder how long they expect to keep the position open before softening the standards. Overall though, I won’t lie, most companies want Internet Marketing specialists and SEO experts and don’t even fully understand where the boundaries of these positions begin and end – from corporate to seedy small business. SMH. No DOUBT about it! 100% on point with that Lauryn! It’s interesting because I was stepping my online marketing and promotions hustles via Myspace when NO ONE view those sites as avenues for income. So its funny to hear about 10 experts in such a new field. Hey! Thanks for taking time to comment! The thing about the 10 year experience claim is that Social Media as we know it, was not even around 10 years ago. Facebook business pages were just introduced in 2009, so it’s pretty safe to say that there were NO businesses on Facebook back then. Meaning no Gurus around either. That is a great post Anie, and perfect timing. I live and work in a small town (which means the progressives in the town just started texting), and had a person tell me last week that they had been doing social media marketing for over 10 years. I just laughed, and walked away. I mean how do you compete with someone who was doing it before it existed. OMG Derek, I am STILL LAUGHING at that one, seriously. That’s great! I’m really not trying to knock people but when you make claims, there should be a reasonable chance that people may believe you. I am going to agree with you that you SO cannot compete with someone that was doing something before it existed. Maybe the person had a Quantum Leap thing going on or something? LOL Seriously, I was in school for Internet Marketing and social media literally blew up within months. I don’t mean social media, as it pertains to individual social media usage but the impact that it has had on the business world. Technology is evolving so quickly that its very EASY NOT to know everything, after all education is a continuous process. This applies to technology as much, if not more than other industries because technology is growing at lightening speed. Thanks so much for taking time to leave a comment! Thanks you so much for taking time to read and comment! I also hate the term ‘guru’, but I think you’re wrong in claiming nobody can have 10 years experience in ‘social media’. By referring to the latest changes in Facebook and Twitter, you’re ignoring major elements of social media which have been around before 2000, including forums, blogs, wikis (Wikipedia started in ’01 so just fits). The fact is that some people will be lying, and some will be telling the truth – but if they’ve really got the experience, it should be demonstratable and apparent on their online CVs etc. Next year Facebook and Twitter will have evolved and changed, Google + may or may not still exist, and there may be new sites and tools available – does that mean every person professing any interest in social media has to reset their experience to zero? Social as we know it didn’t exist last year, or 6 months ago. Experience is not about doing the same things for 10 years, experience is working in a certain area of expertise, having a track record and having the ability to adapt. Knowing what to do when is more valuable than just being a one-trick pony and just being able to push buttons in a certain tool . Since one of the first online communities was already there in 1989 (the well), a 10 year track record can exist, not only with social media as we know it, but hey, next month there is yet again something new we didn’t know of today :). I think you shouldn’t limit social media to just the things how we know it today, somebody with a track record of 10 years know how it used to work, how it works today and most likely also has a good view on what is coming up (otherwise it is not likely to be working for 10 years in a certain type of business). Regarding FB pages: please note that Sponsored Facebook groups were already around in 2006 (might be even earlier) and that apple and spongebob were highly popular groups back then and basically provided the main part of the revenue of Facebook. It’s about time it was put out there and I’m just sorry it wasn’t me! Kudos to you Anise! I get asked those questions all the time, how long have you been in social media? How much experience do you have? When I tell them, they look at me like I’m crazy. I’m being honest. I don’t puff up my numbers to impress potential clients like so many “gurus” and “experts” do. I hate those terms and when someone tries to tell people I’m an expert or guru I quickly tell them I’m not. I’m a seasoned professional, but it’s an ever changing field and I don’t think anyone can be a guru or expert in ALL of social media. Thank You so much Knikkolette! I am still amazed by at the gurus and experts! We all know that this industry is evolving constantly and it is a constant learning process for all of us. The technology growth is awesome and exciting but it is hard to be an expert when things continue to change, we perfect our craft and continue to learn as technology grows. I don’t care for any self-proclaimed guru’s. Just for clarification, LinkedIn started already in 2002. I joined in 2004, next to that I also joined Ecademy.com and Xing.com in 2004. At that time, they didn’t call it Social Media, but Online Networking Sites. Facebook wasn’t the first social media site, there were many before I started using the above mentioned sites, like LiveJournal and Friendster. And there is something to say about forums and yahoo groups, ICQ and IRC being the communities where people interacted and connected online in the early days. So I think it depends on the expertise of the person, and I think that people with a marketing background have a strong sense about understanding their audience – and that is hugely important to working in social media. Thanks for taking time to comment Marieke! I agree totally that a Marketing background is a huge boost to understanding and working in Social Media. I have a background in traditional, product and pharmaceutical marketing and it is a huge part of what I do, still. Marketing is essentially the driving force of practically every product and brand on the market. I’m not sure you really understand what social media is… The spirit of the article makes sense – of course someone can’t have been working on Facebook before 2004. But the big flaw in the logic here is that you’re assuming social media = Facebook. Friendster (2002) and MySpace (2003) were around years before Facebook but well before that there have been Blogs, Forums, Chat, IRC, Messenger and other forms of social interaction. At Dell, we’ve had online discussion forums on Dell.com (for business purposes) since 1995. I also personally remember spending a lot of my time online using IRC and interacting via chat at the same time (and into the late 1990’s). I don’t claim to be a “social media guru” and I am also equally irritated by people claiming to be social media gurus, but I personally get very frustrated when social media is simply defined as Facebook engagement. 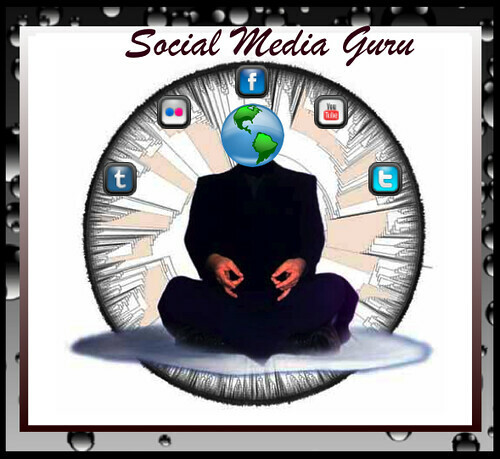 Both concepts (guru’s and Facebook = social media) are the two biggest problems in the industry today. Interesting post. I also hate the terms expert, guru, etc per social media. However, the foundation of social media (Web 2.0) has been around since the mid 90s. The 1st major network I remember is ICQ — of course there was BBS and others. Online forums gained traction in the late 90s and are still relevant today. Not to brag, but I helped launch a photo-sharing/blogging site (worldisround.com) in 2000. Looking back, it was quite ahead of its time — the site is still live and very active. I was actually a social media naysayer for many years, even as Facebook and Twitter became popular (was on Twitter a yr b4 Facebook). In early 2008, several things made me alter my opinion toward social media and business application (and business models for that matter). True, no one has 10 yrs experience on Facebook or Twitter – but Web 2.0 has been around for more than a decade. Despite using bulletin boards since the 80s, newsgroups in the early 90s and running forums since the mid-90s (over 20 years experience in all), I don’t consider myself an expert or guru for social media, Web 2.0, Gov 2.0 or the internet. I call myself an advocate – someone who publicly recommends and/or supports a particular idea, cause or policy. While I do have plenty of social media expertise from before it got its fancy name (no social media didn’t start with Facebook, MySpace or Bebo), I consider myself simply someone who stays a few steps ahead. Though as attaching ‘expert’, ‘guru’ or ‘advisor’ to one’s self-proclaimed title appears to add substantially to one’s salary, despite adding nothing to one’s experience, I am constantly tempted to redefine myself as an expert. However given most experts are lucky to have five years experience, I prefer not to be judged by their standards! BTW – I don’t have a formal degree in anything related to the internet. It didn’t exist when I studied Marketing – we were lucky to have access to Mac Classics! I still hold a dim view of the internet degrees on offer at universities – none offer anything I need to know, nor anything I expect my team to know. Hopefully they’ll catch up eventually!